NEW ZEALAND, Wellington —December 11, 2015— Leading publisher PikPok today announced the launch of their original game Breakneck™ for Android phones, tablets, and Android TV on the Google Play store. 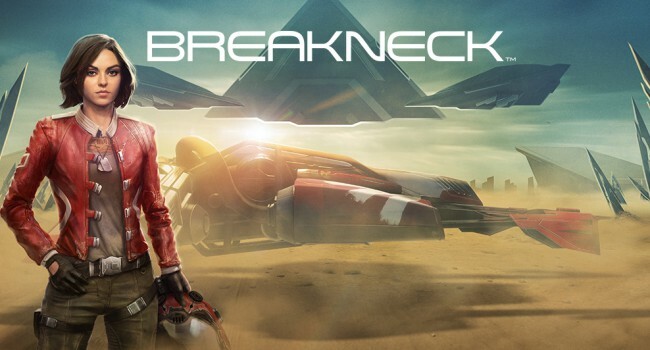 Breakneck sees players speed across an Earth ravaged by an alien occupation, chased by relentless pursuers. Flying close to obstacles boosts speed but increases danger, and the valuable resources that litter the landscape need collection, requiring precision and risk-taking by the player. Featuring state-of-the-art graphics, daily environment changes, and action-packed surprises, Breakneck is a game thrill-seekers of all ages will enjoy. Media and more information about the Breakneck app can be found at www.pikpok.com/games/breakneck.